Hotel Meedo’s Grand, Dehradun is a three star hotel that is located in the foothills of Himalayas. The establishment of beautiful and luxurious hotel dates back to 1980. 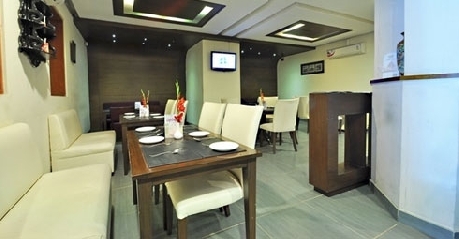 Since it is located on Rajpur Road, it is closer to all the markets and fine cafes. Recently, it underwent renovation as per the contemporary style and it has recently been renovated to give the guests the right ambience. 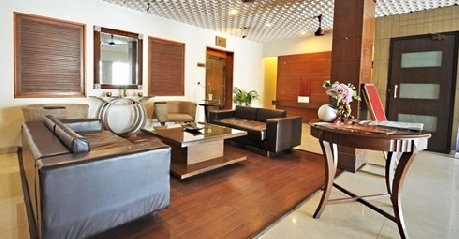 It also has all the amenities that are part of modern hotels and makes your stay a memorable one. This place is ideal for both leisure as well as business travellers. 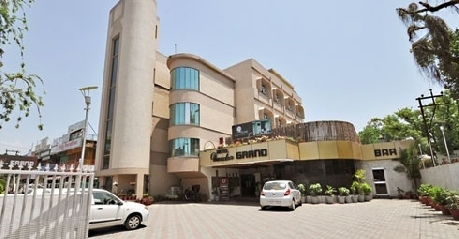 Beautifully decorated with light and soothing colours, air conditioned rooms with all the luxurious facilities like attached bathrooms, TV, Refrigerator, EPABX with direct dialing facilities and all the rooms have wireless Internet (Wi-Fi) connectivity. Room services, doctor on call, hot and cold water availability and news paper per room also available. 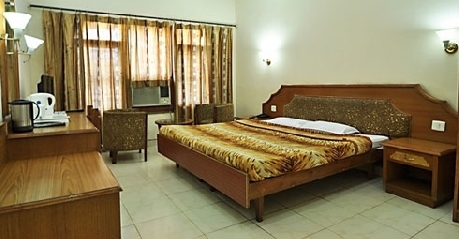 These rooms offer the executive lifestyle along with amenities life bright soothing colours, air conditioned rooms with all the luxurious facilities like TV, attached bathrooms, EPABX with direct dialing facilities Refrigerator, and all the rooms have wireless Internet (Wi-Fi) connectivity. Room services, hot and cold water availability, doctor on call and news paper per room also available. 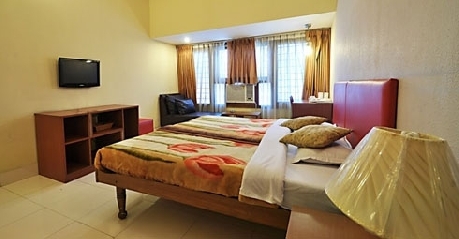 Thesecontemporary rooms come with amenities like air conditioned rooms with all the luxurious facilities like Refrigerator, attached bathrooms, EPABX with direct dialing facilities, TV and all the rooms have wireless Internet (Wi-Fi) connectivity. Doctor on call, Room services, Hot and cold water availability and news paper per room also available. These are large executive suites that come with facilities like beautifully decorated with light and soothing colours. 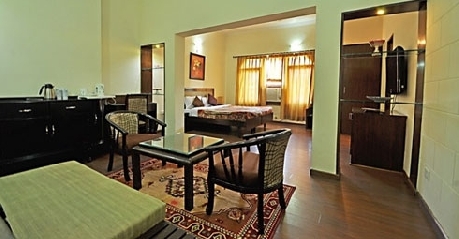 It offers amenities like air conditioned rooms with all the luxurious facilities like attached bathrooms, TV, Refrigerator, EPABX with direct dialing facilities and all the rooms have wireless Internet (Wi-Fi) connectivity. Room services, Doctor on call, Hot and cold water availability and news paper per room also available. The personalized service provided here would keep you craving for more and more. The main restaurant of the hotel that serves Continental, Chinese, Mughlai and Indian Non-Veg food served in a stylish and elegant atmosphere. The restaurant also provides finest international wine along with dinner. It is actually a banquet hall that is ideal for a meeting or gathering or birthdays or kitty parties, etc. It can accommodate up to 30 people. It is an ideal place for all those who like to dine in open terrace. One can enjoy the food under starry skies.